The gloss inset sink comes with 0.8mm thickness and is finished off with 18/10 304 grade stainless steel leaving a crisp and clean look to your sink. 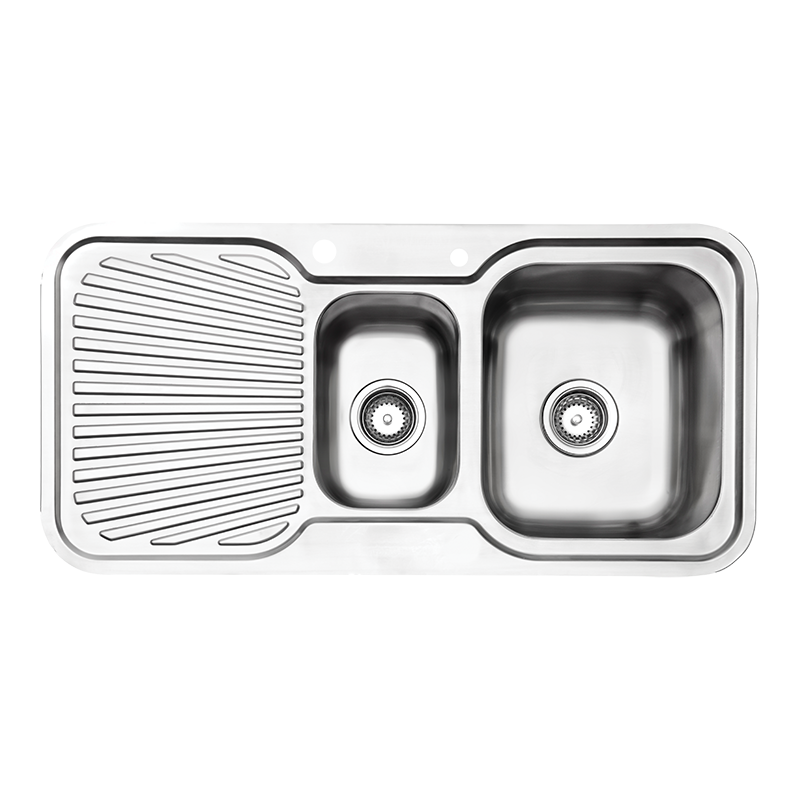 The 22L sink sits 180mm deep, while the ¼ sink can hold up to 9L and is 170mm deep. Both are great for doing washing up and prep. The attached drainer is a great addition giving extra room to store and dry equipment.